The following step by step WMV to iMovie tutorial is going to show you how to convert WMV to iMovie format and import WMV into iMovie using WMV to iMovie Converter. 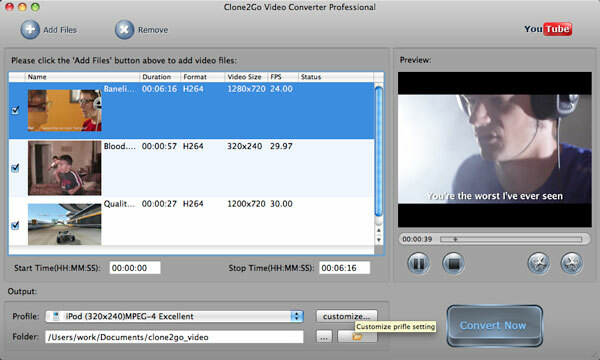 Download the latest version of WMV to iMovie Converter, install and run it. Step 2. Select output format: "MPEG-4 Movie (*.mp4)"
Video formats accepted by iMovie include MPEG-2 and AVCHD, DV-Standard and HDV (High Definition Video), QuickTime Movie, MEPG-4. After the video files are imported, go to the "Output" panel. Click the "Profile" drop-down list to choose the format that best fits your needs. Here, just choose "Customized MP4 Movie (*.mp4)". After all the necessary settings, just click the "Convert Now" button to start converting WMV to iMovie on your Mac machine. Launch iMovie, go to "File > Import > Movies...". Select the converted MP4 video then click "Import". 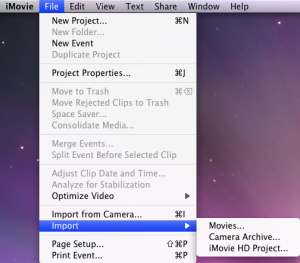 Below are a few Tips and Tricks while using WMV to iMovie Converter to convert WMV to iMovie format. Method 1: Specify the "Start Time" and "Stop Time" under the manager panel within the accuracy of second. Method 2: Trim the video while previewing it. In the "Preview" window, you can play the movie. Here, you can click the "Trim Begin" and "Trim End" buttons to get the certain part of the video while playing it back. You may not be satisfied with the profile provided to you. In this case, you can click the "Customize..." button next to "Profile" box to customize a profile. 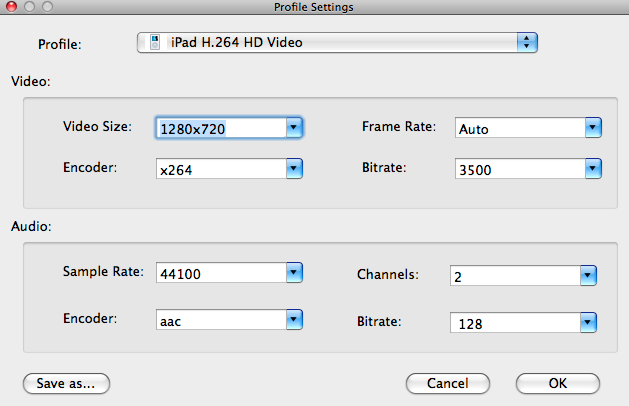 In the following "Profile Settings" Window, you can adjust Video Size, Frame Rate, Encoder, Bitrate; Audio Sample Rate, Channels, Encoder, Bitrate, etc to meet your specific needs.